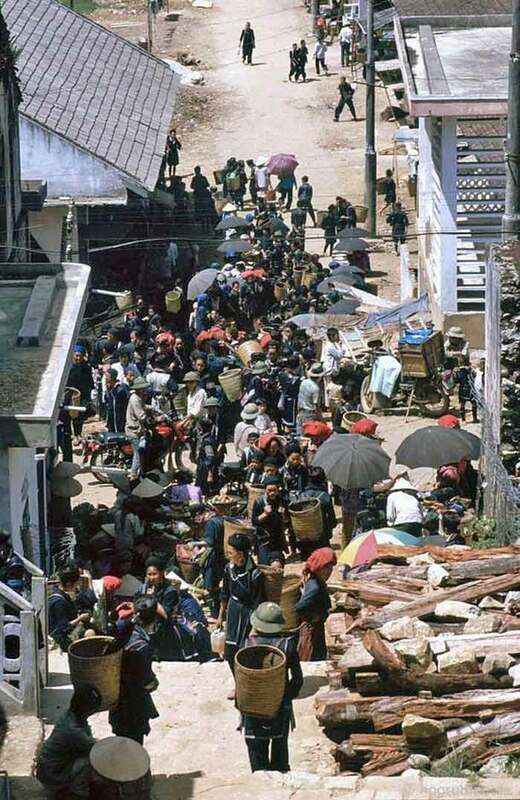 How about Sapa nearly 30 years ago? 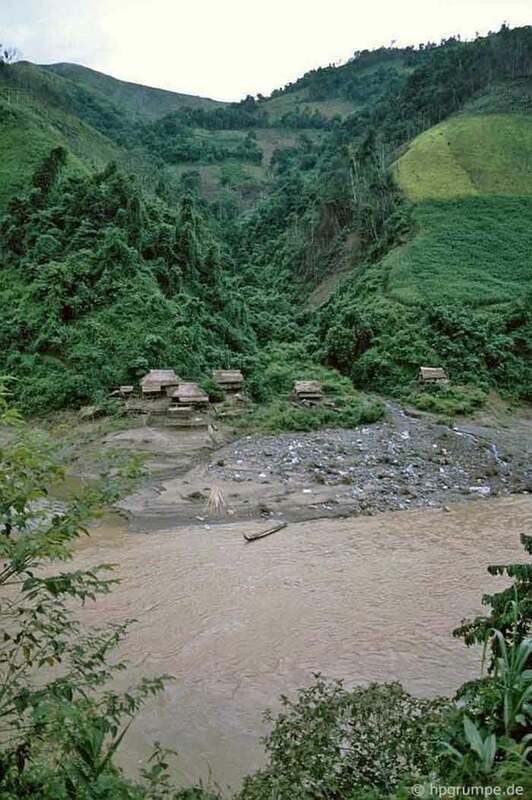 Was it a noisy disturbance of a whole mountain of forests like it is today or it just laid calmly in the middle of the great jungle? 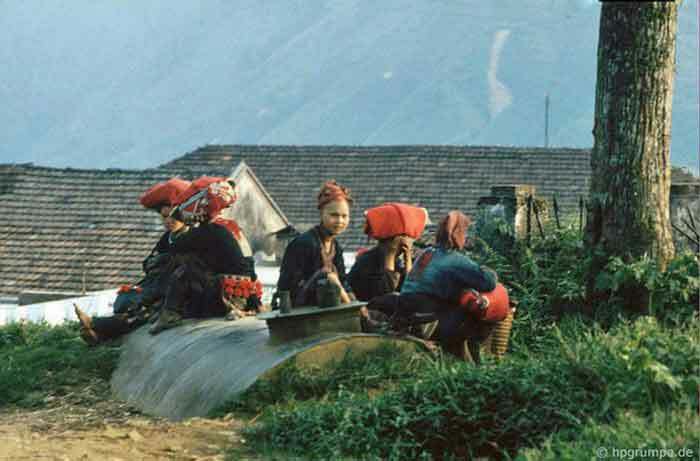 Passing through the strange reincarnation of the time, Sapa today has been wearing a fresh look, neatly located in the Northwestern mountains. 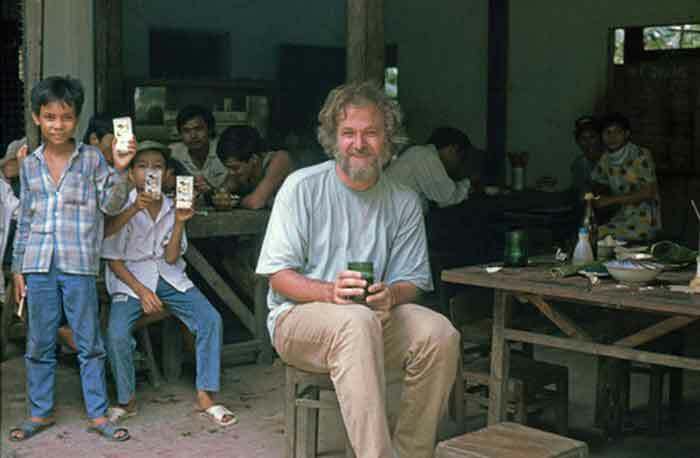 German photographer Hans-Peter Grumpe during a trip in My Son (Quang Nam) in the early 1990s. 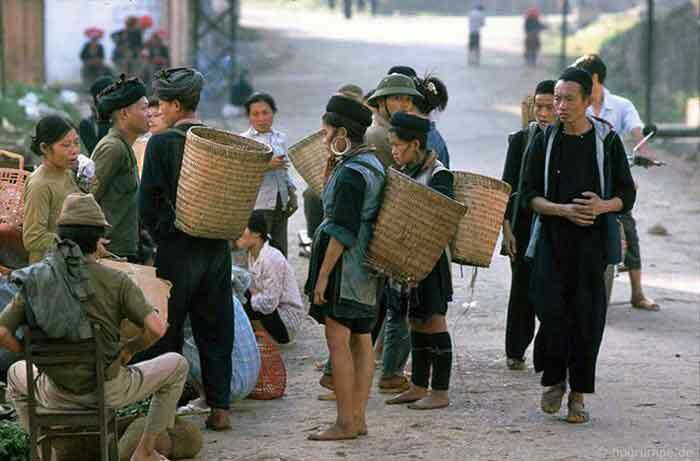 To answer this question, please follow the photos of Sapa town in the 90s in the last century by the German photographerHans-Peter Grumpe who spent a total of 83 days in Vietnam stretching throughout the 3 years 1991, 1992, 1993 to record more than 1,600 photos of Vietnamese landscape and human life in all three regions of the country. 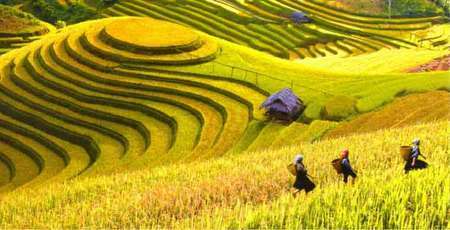 Sapa is located on a ground at an altitude of 1,500 to 1,650 meters in the slopes of Mount Lo SuayTong. 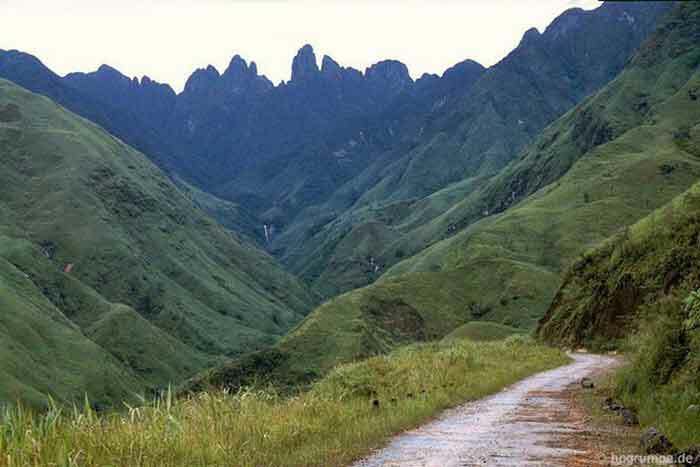 The top of this mountain,with a height of 2,228 meters, is visible in the southeast of Sapa. 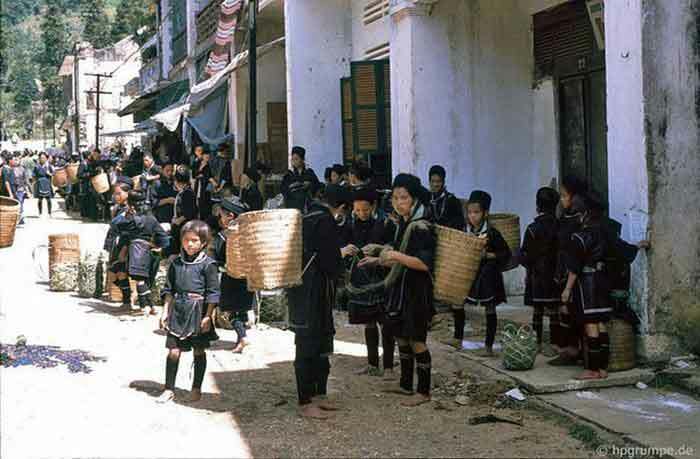 The name Sapa name has the root from Mandarin. 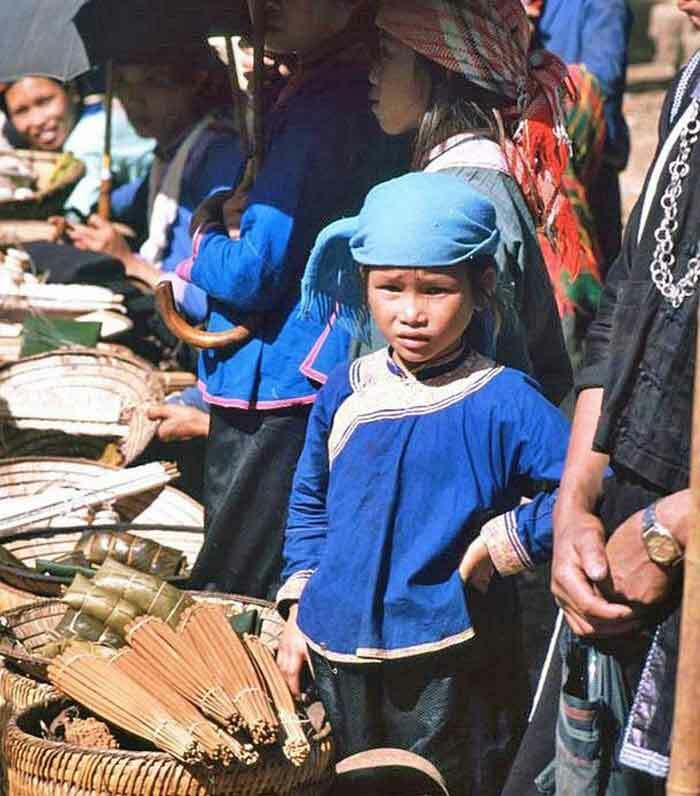 In Mandarin Sapa is pronounced SaPa or SaPá which means "sandbank", because before there was Sapa town, there was only one sandbank where indigenous people often marketed. 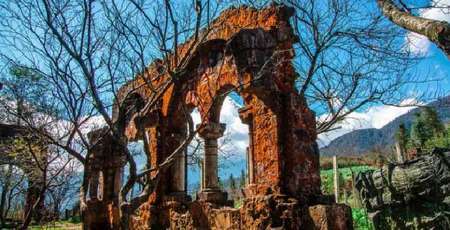 In the summer, the weather in the town is like a full four seasons: spring in the morning, summer in the afternoon, fall in the evening and the cold of winter at night. 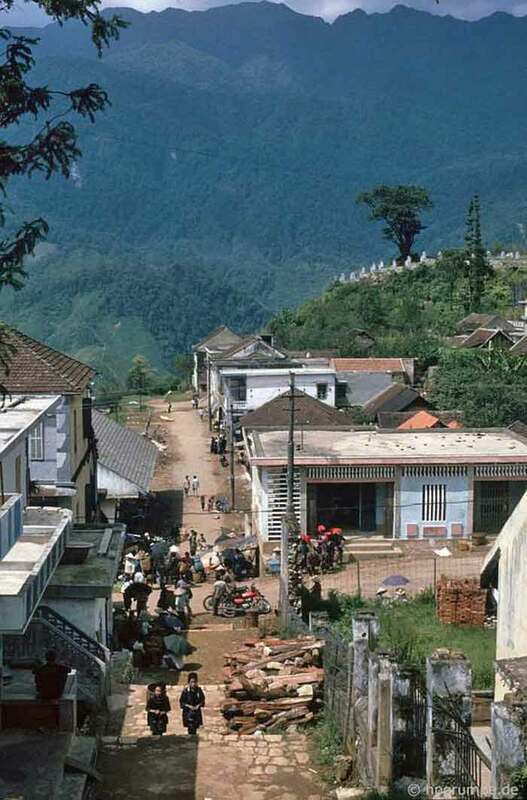 Entrance to a village in Sapa in 1992. 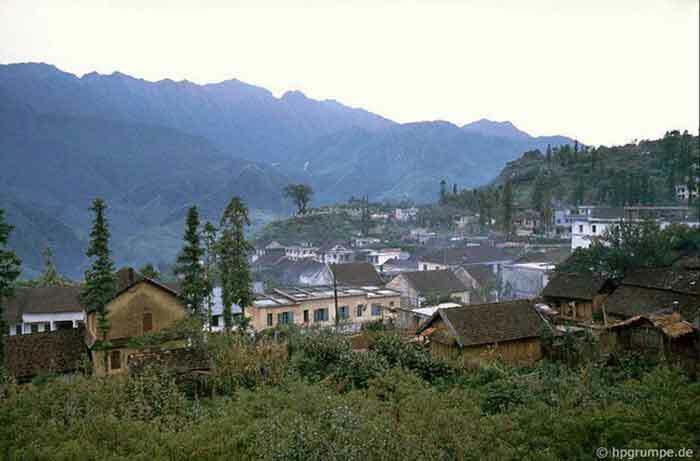 Sapa town used to be a vein of opaque red water, so the locals called it "red stream". 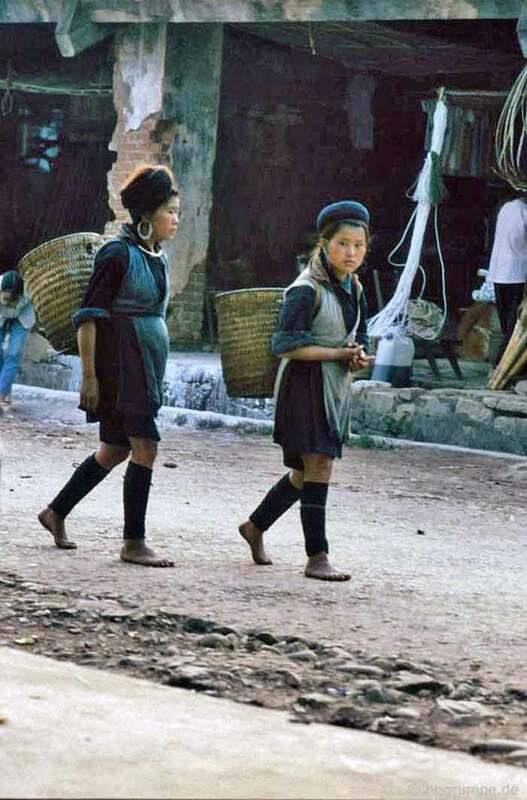 At the beginning when the country stepped into the new age, even when everyone was still working as a manual laborer, these girls in the mountainous areas of Sapa knew of modern beauties such as using hair wraps. 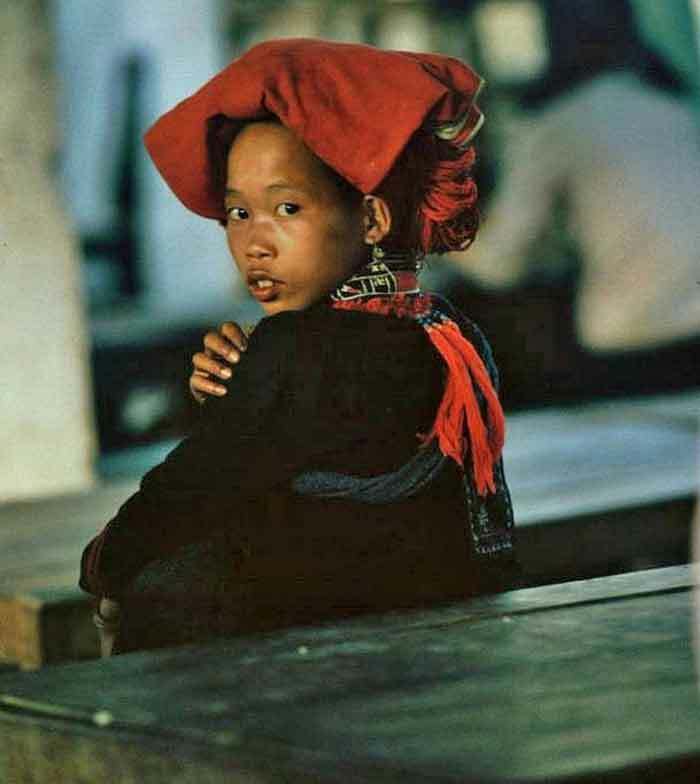 A girl with special attire of red Dao - one of the minority ethnic groups living in the area of Sapa, Lao Cai. 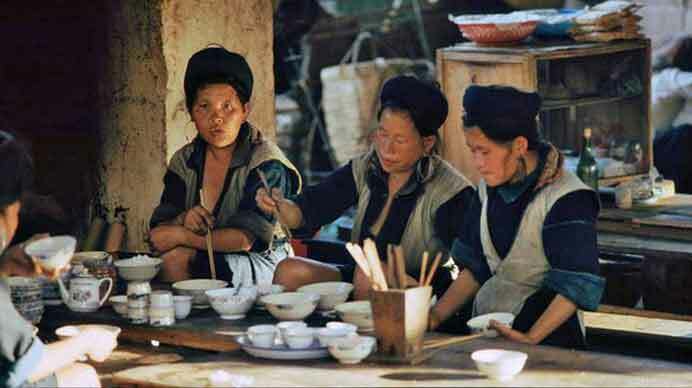 Still a familiar image to this day but they - these ethnic girls also have something very "feminist" during the early 90s. 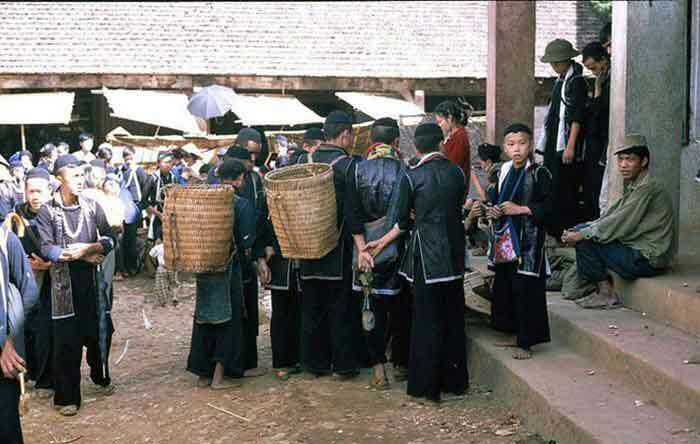 Together with H'Mong, Dao, Tay, Xa Pho and Giay, one of the 5 ethnic minorities living in Sapa long ago. 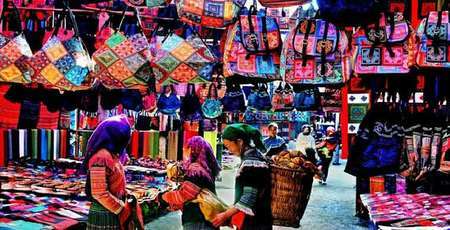 The market on that day was not showy because people only exchanged essential goods, not selling souvenirs for tourists. 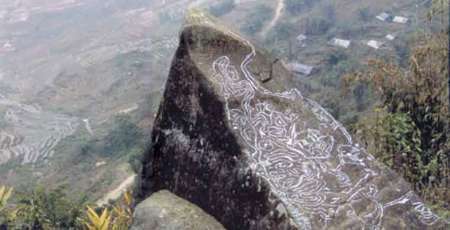 A smudged image but full of wild nature of the mountains. 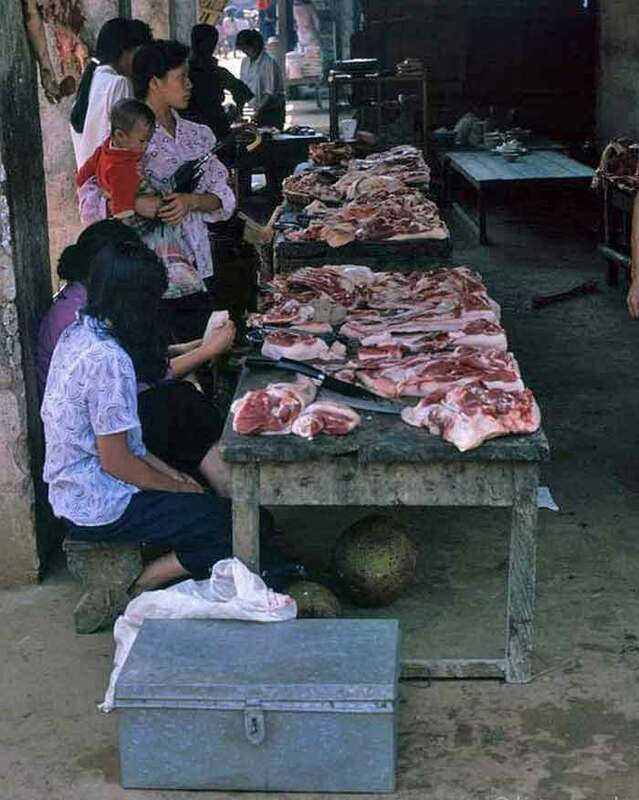 Photos of the fresh meat of Sapa in 1992. 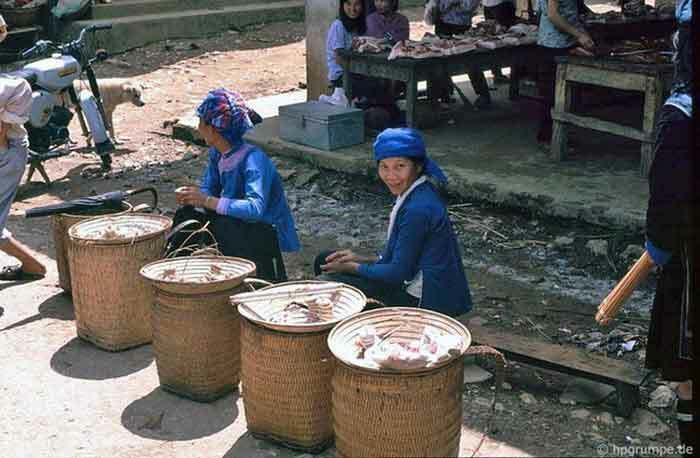 A group of Red Dao sisters sitting and resting and telling jokes. 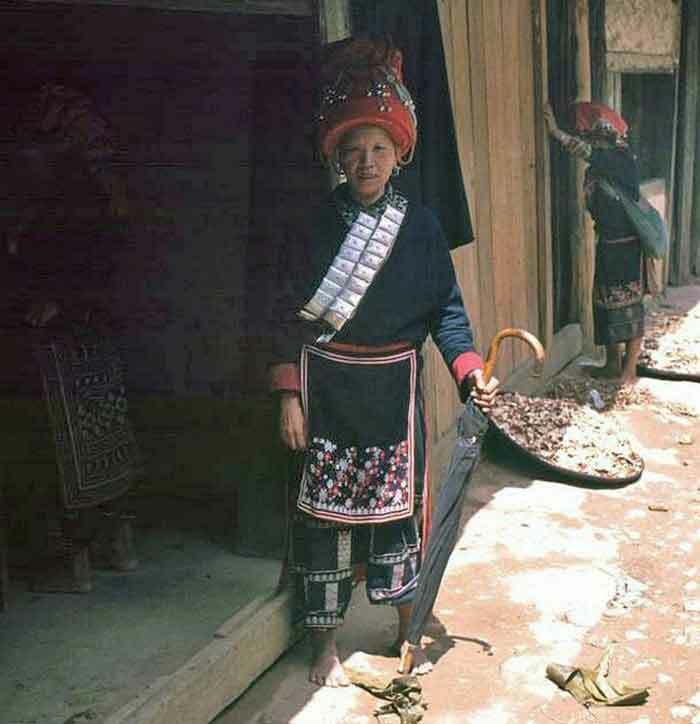 An ethnic minority woman with an umbrella in her hand and the spreading bare foot representing Giao Chi people. 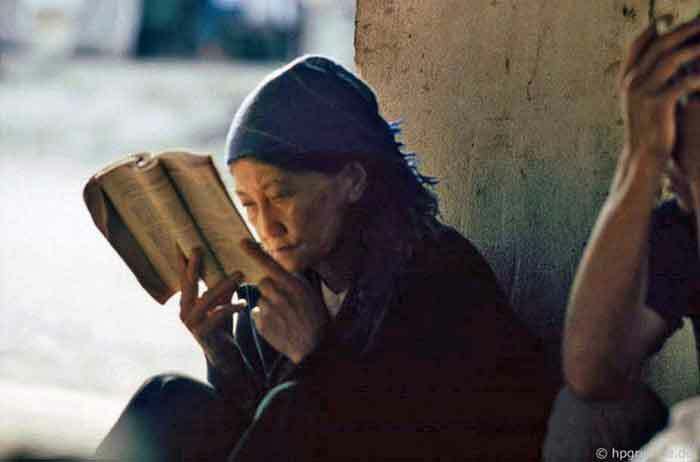 Two women in the middle of the fair. Quick meal during lunch break. 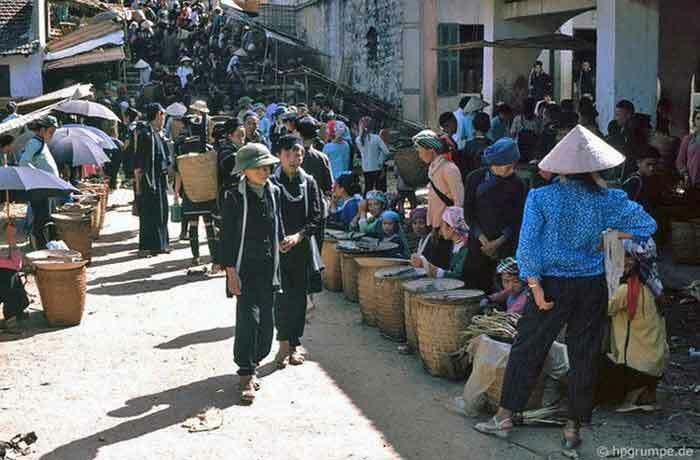 It seems that Sapa has always been a benign mist of 6 groups of people including the Kinh, from the past to the present. 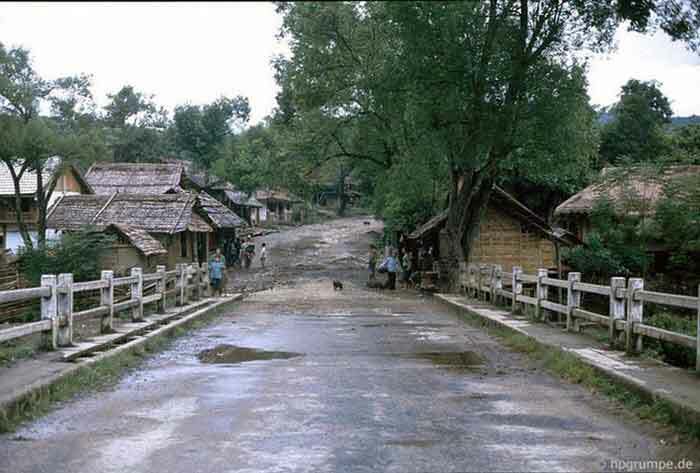 In the 1990s, Sapa was rebuilt. 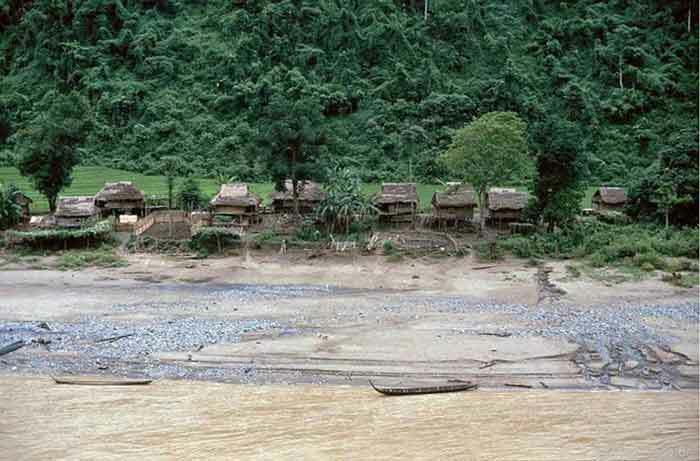 Many new hotels and villas were built. 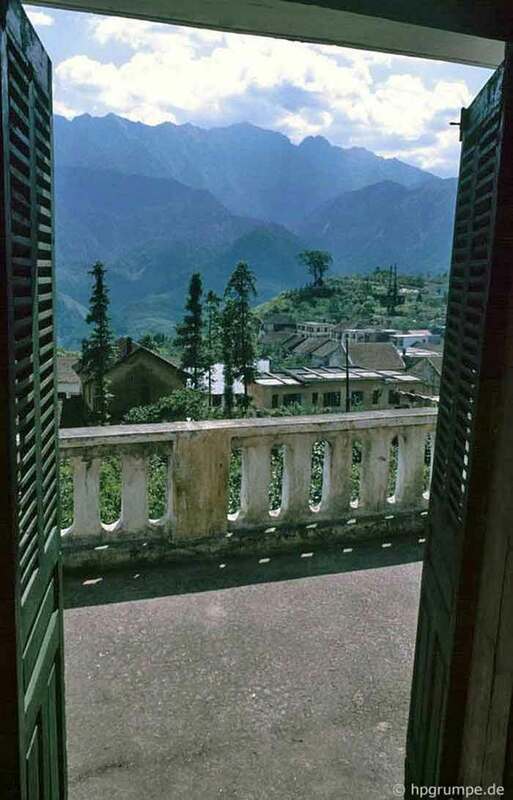 The density of guest rooms increases with the popular name of Sapa to the domestic and foreign tourists. 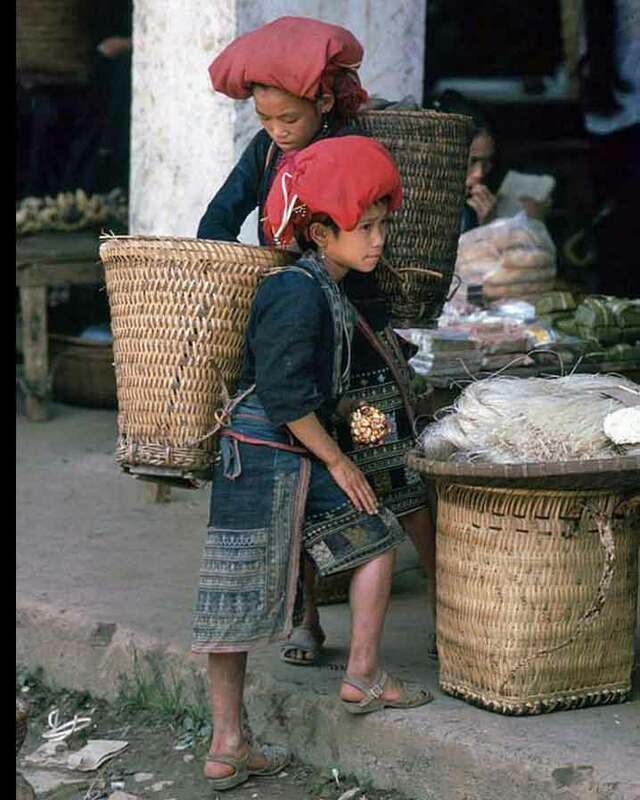 The long vertical slopes, with carefree steps spreading across the mountainside, so that the basket on the girls’ back would be less tiring. 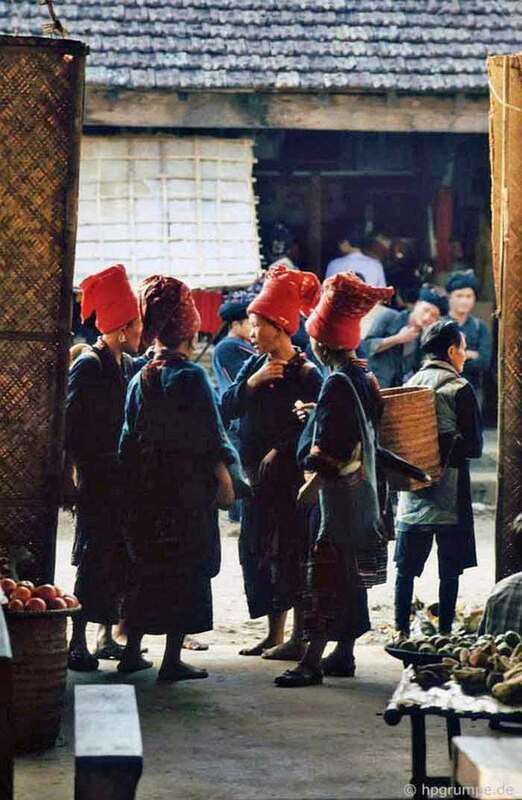 In the mountainous town of the remote province, there is a fragrant Sapa with the smell offorest. 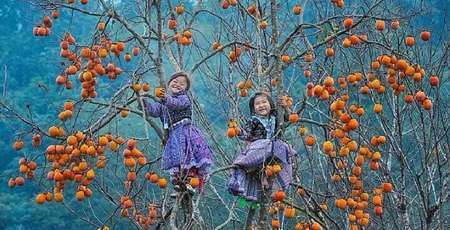 The looks and smiles are full of reservations of the soul of an old Sapa. 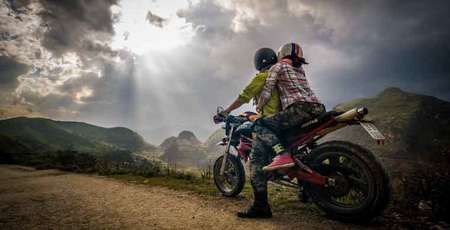 After opening, Sapa mountains became an attractive destination, people here are also more aware of the importance of knowledge. 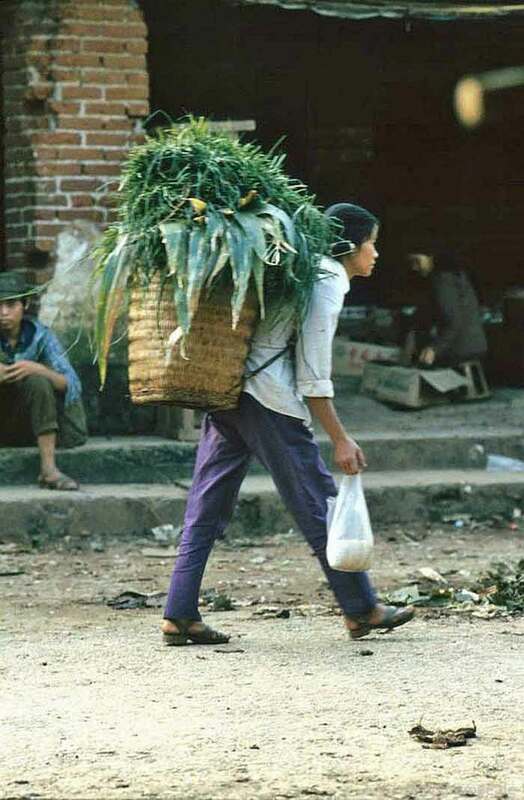 Still a noisy, bustling Sapa but that kind of bustling mountains and forests are still very separate from the outside world. 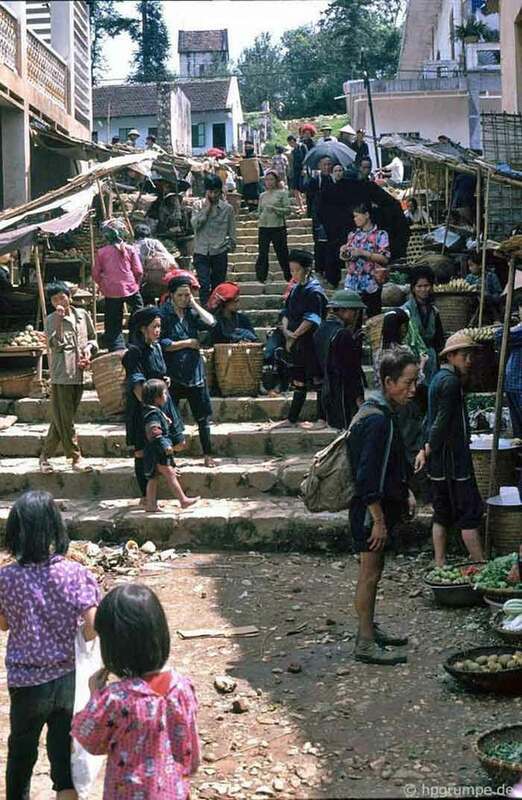 Small trade on stone steps right in the heart of Sapa. Leaky talks together on weekends are sometimes what the highland sisters expect the most. 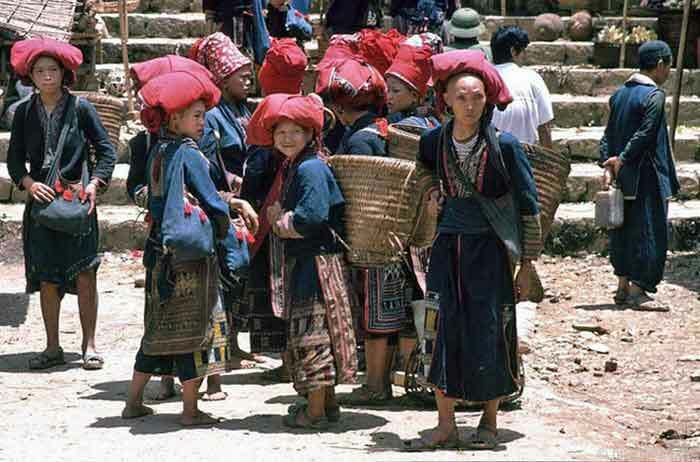 Even when Sapa has been still as pristine as it was nearly 30 years ago or as new as today, it is always a land of the equal union between ethnic minorities in the northwestern mountains also a great vacation destination for anyone.